Misshapen, cracked, or stained teeth can make you think twice before smiling. 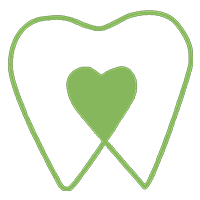 Hailun Wu, DMD, at Greenwood Smile Dental offers porcelain veneers as a cosmetic-dentistry technique to make your smile look and function better. 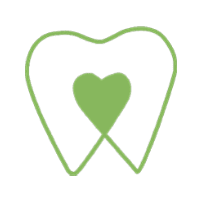 Located in Seattle, the experienced team at Greenwood Smile Dental can help you look and feel your best with custom veneers. Call or schedule a consultation online. Veneers are a cosmetic dental procedure that consists of a very thin layer of porcelain that helps re-create the look of your natural teeth. Each veneer is custom-fitted to your individual teeth, then Dr. Wu bonds them to your existing teeth. Veneers cover blemishes like stains, cracks, holes, or misshapen teeth. They can also restore delicate teeth. Veneers can be made from composite resin or porcelain. Porcelain is the most stain-resistant material out of the two materials. Porcelain also tends to match your natural enamel better. A skilled dental team member describes your choices and helps you pick the best kind of veneers for your unique situation. Following the initial consultation to review your desired results and the kind of veneers that are best for you, you return for another appointment. At this appointment, Dr. Wu takes off a minuscule amount of enamel from the surface of your existing teeth to shape them in preparation for the veneers. Once your teeth are prepared, she makes an impression of your teeth so the dental lab can create custom veneers that are an exact fit for your mouth. You come back to have the finished veneers fitted to each tooth. After cleaning and etching the surface of your teeth to prepare them for the bonding process, Dr. Wu applies a special cement and a light source that causes the adhesive to bond securely to the porcelain. In no time at all, your veneers are securely in place and you have a beautiful and improved smile. With veneers, you can select a brighter tooth shade, so essentially, you can also get a whiter, brighter smile without the need for future whitening treatments. If you want to learn more about the convenience of custom veneers to improve your smile, call Greenwood Smile Dental or schedule a consultation using the online booking tool.